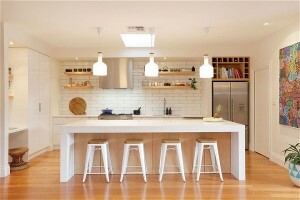 The classic black and white color schemes will always be in style; the high contrast is clean and sleek. And, stay away from primary colored accessories this year. Clean lines are a classic way to keep your style fresh for many years. 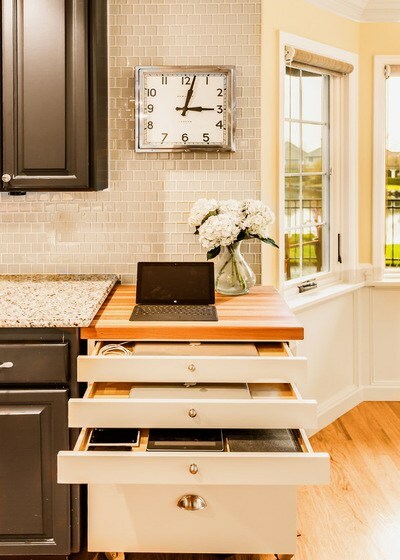 And keep your counters clear of clutter, especially for those who are staging to sell. 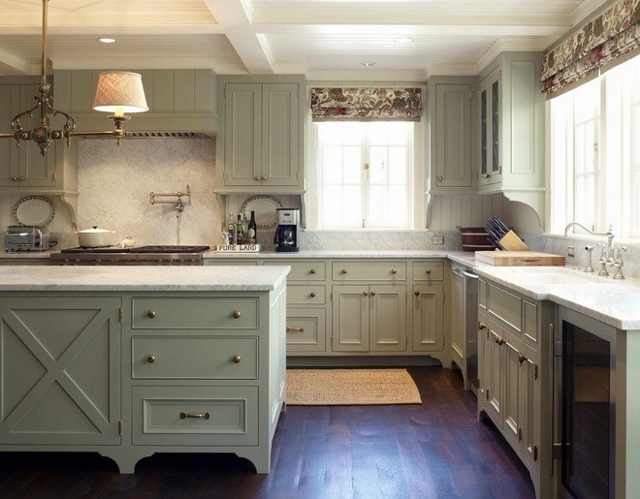 Extensive cabinet lighting is a trend to follow. 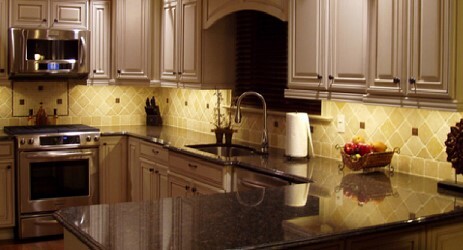 Low-voltage light tape strips, or LED lights, are used as accent pieces below cabinets, above cabinets, inside cabinets and below countertop overhangs. These will be grouped with recessed can lights to offer better mood-setting capabilities. In 2016, wood mantle hoods are being replaced with metal hoods or ones that are a combination of wood and metal. 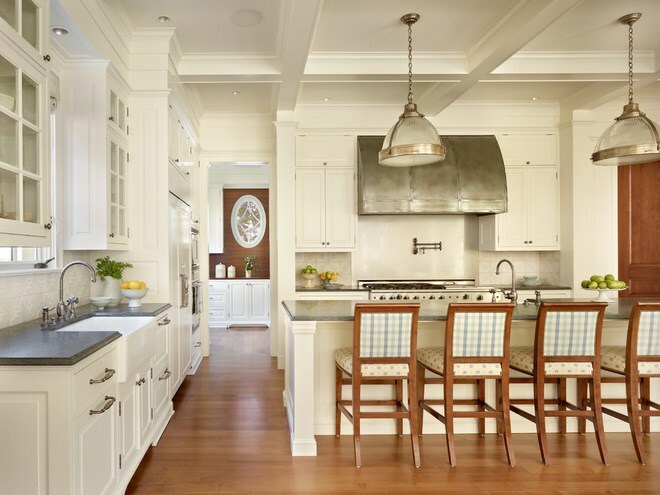 If you’re planning to follow suit with this year’s fixation on neutral color tones, a metal hood can introduce a burst of contrast into your kitchen.